High levels of cholesterol are one of the major causes of heart disease around the world. Thus the importance of maintaining a low cholesterol diet is even more important. Cholesterol affects the flow of the blood in the blood vessels, and ultimately creates the risk of heart attack, as well as other cardiovascular issues. People who are already undergoing different heart procedures such as bypass, stints, and other surgeries also need to avoid a high cholesterol diet to avoid future heart issues. Changing your diet is an easy way to do this. It is important to understand what types of food contribute to lower cholesterol so that you can prepare your diet plan accordingly. Recent research reveals that a healthy diet can reduce your cholesterol level by 30 percent in a short amount of time. Green leafy vegetables, lean meat, nuts, and fruits are considered low in cholesterol, yet high in terms of carbohydrates. The challenge for most people is changing eating habits. Switching from an unhealthy diet, to a low cholesterol diet is always difficult, but once you decide, and remove the potential triggers from your kitchen cupboards; it becomes much easier for you to make the shift towards a low cholesterol diet. When you change your eating habits, you will definitely feel the difference in your cholesterol level. There are a number of foods available that are not only rich in terms of protein, vitamins, and minerals; but also help in reducing the level of cholesterol in your body. Following are a few of the foods that help you bring down your cholesterol level in a natural manner. Nuts:- Various types of nuts such as almonds, pistachios, walnuts, and pecans are an excellent source of fighting cholesterol. You can include these nuts in your snacks or add them to your breakfast. These nuts are extremely helpful in keeping the vessels of the body strong, and healthy. Oatmeal: Oatmeal is a type of fiber which helps you reduce the level of cholesterol in your arteries. The most recent research has revealed that a sufficient quantity of oatmeal can reduce your cholesterol level considerably. In order to eat healthy, it is important that you should include oatmeal in your daily diet. Oatmeal is considered to be a super food of nature, and you can include it in your breakfasts. Oatmeal also makes you feel fuller so there is no temptation to snack later on! 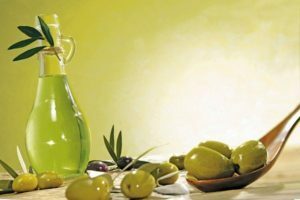 Extra Virgin Olive Oil: Again, recent research shows that if you include 2 tablespoons of extra virgin olive oil in your diet on a daily basis, it will reduce your cholesterol immediately. You can use this oil in salads, and marinades. Extra virgin olive oil as a good substitute for butter in recipes that will lend themselves t it. Foods that are high in cholesterol such as eggs, butter, margarine need to be avoided, or at last used in a limited quantity if you are looking to control your cholesterol levels. They are high in trans-fats and that could spell trouble for you later. Besides that, marbled meat and sausages also contain high levels of cholesterol. Some people assume that a low cholesterol diet is not tasty, however, that is a wrong perception. Just use some creativity and come up with your own creations using some of the flavorful ingredients mentioned above. After all, a healthy diet is a better solution as compared to surgery or stints. Eating whole grains, fresh fruits, and other foods that contain low cholesterol levels will help you remain healthy, and avoid heart problems. Using a low cholesterol diet could be a matter of life and death if you have heart issues. It is worth making the switch.